In-situ means “in place” and refers to recovery techniques at the location of the energy source. In-situ coal gasification is also known as Underground Coal Gasification (UCG) Kristin M. Brown (2012). IN SITU COAL GASIFICATION: AN EMERGING TECHNOLOGY. http://www.asmr.us/Publications/Conference%20Proceedings/2012/0051-Brown-CO.pdf Kristin M. Brown (2012). IN SITU COAL GASIFICATION: AN EMERGING TECHNOLOGY. http://www.asmr.us/Publications/Conference%20Proceedings/2012/0051-Brown-CO.pdf Kristin M. Brown (2012). 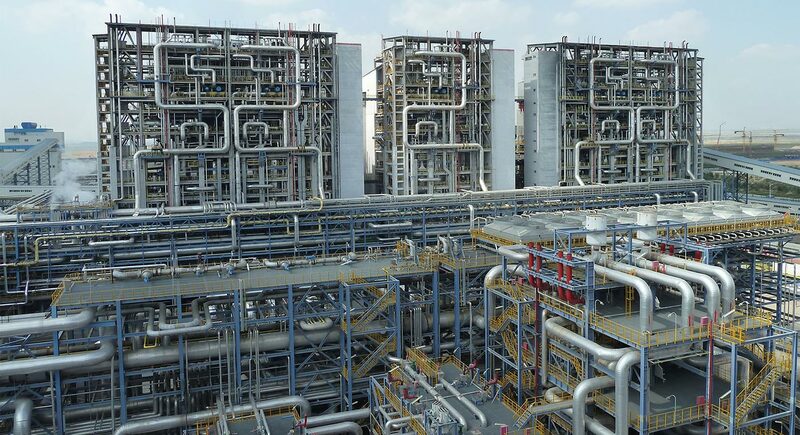 IN SITU COAL GASIFICATION: AN EMERGING TECHNOLOGY. http://www.asmr.us/Publications/Conference%20Proceedings/2012/0051-Brown-CO.pdf Kristin M. Brown (2012). IN SITU COAL GASIFICATION: AN EMERGING TECHNOLOGY. http://www.asmr.us/Publications/Conference%20Proceedings/2012/0051-Brown-CO.pdf . It is the chemical conversion of deeply-buried coal in its original coal seam into a mixture of hydrogen, carbon monoxide, carbon dioxide and methane by creating the right process conditions in the coal seam to cause a series of chemical reactions to occur Swan hills Synfuels (2012). SWAN HILLS IN-SITU COAL GASIFICATION TECHNOLOGY DEVELOPMENT FINAL OUTCOMES REPORT 2012 Swan hills Synfuels (2012). SWAN HILLS IN-SITU COAL GASIFICATION TECHNOLOGY DEVELOPMENT FINAL OUTCOMES REPORT 2012 Swan hills Synfuels (2012). SWAN HILLS IN-SITU COAL GASIFICATION TECHNOLOGY DEVELOPMENT FINAL OUTCOMES REPORT 2012 Swan hills Synfuels (2012). SWAN HILLS IN-SITU COAL GASIFICATION TECHNOLOGY DEVELOPMENT FINAL OUTCOMES REPORT 2012 . The mixture of hydrogen and carbon monoxide is known as Syngas or Synthetic gas that can be used as fuel or feedstock for further chemical processes such as ammonia production or liquid fuels. The carbon dioxide generated during the process can be captured to be piped back into the seam or pumped into oil wells to boost recovery rates. The process works by injecting an oxidant (usually air, oxygen, or steam) into a coal seam. The oxidant reacts with the coal and water present in the seam to produce syngas that is extracted through a production well. Coal resources that are deeper than 60 meters and not suitable for conventional mining are ideally suited for UCG. Underground coal gasification (UCG) was pioneered by Sir William Siemens in the 1860s to light the streets of London. Vladimir Lenin hailed the method in a 1913 for its potential to rescue Russian workers from the hazards of underground mines. High costs of extraction held back the growth of In situ gasification in 20th century. With the advances in seismic technology and horizontal drilling, the cost associated with In situ gasification has reduced greatly. The UCG process has several advantages over coal gasification such as lower capital investment costs (due to the absence of a manufactured gasifier), no handling of coal and solid wastes at the surface (ash remains in the underground cavity), no human labor or capital for underground coal mining, minimum surface disruption, no coal transportation costs, and direct use of water and feedstock available in situ. In addition, cavities formed as a result of UCG could potentially be used for CO2 sequestration Evgeny Shafirovich and Arvind Varma (2009). Underground Coal Gasification: A Brief Review of Current Status Evgeny Shafirovich and Arvind Varma (2009). Underground Coal Gasification: A Brief Review of Current Status Evgeny Shafirovich and Arvind Varma (2009). Underground Coal Gasification: A Brief Review of Current Status Evgeny Shafirovich and Arvind Varma (2009). Underground Coal Gasification: A Brief Review of Current Status . UCG with electricity generation will likely result in GHG emissions 25% lower than conventional coal electricity generation, but 75% higher than natural gas electricity generation. With integrated CCS, UCG should have a GHG intensity lower than natural gas combined cycle generation but higher than coal with CCS, energy conservation, energy efficiency and low impact renewable energy sources like wind Jeremy Moorhouse, Marc Huot, Matt McCulloch (2010) Underground Coal Gasification Environmental Risks and Benefits, A preliminary review prepared by the Pembina Institute Jeremy Moorhouse, Marc Huot, Matt McCulloch (2010) Underground Coal Gasification Environmental Risks and Benefits, A preliminary review prepared by the Pembina Institute Jeremy Moorhouse, Marc Huot, Matt McCulloch (2010) Underground Coal Gasification Environmental Risks and Benefits, A preliminary review prepared by the Pembina Institute Jeremy Moorhouse, Marc Huot, Matt McCulloch (2010) Underground Coal Gasification Environmental Risks and Benefits, A preliminary review prepared by the Pembina Institute . In situ gasification at shallow depths could lead to contamination of fresh groundwater resources. Contaminants from the UCG process can affect water quality, rendering sources for human and wildlife consumption unusable. Sorry, we do not yet have a video specifically for In-Situ Gasification. We are adding new videos to StudentEnergy.org weekly, but in the meantime check out this video on Coal.